Cast back into time; experience the tastes and ambiance of a supper club, aloft in the heights of the Garden District on historic oak tree lined St. Charles Avenue in uptown New Orleans. The Cricket Club offers a romantic atrium setting with gourmet cuisines prepared by the Culinary Institute of New Orleans. Originally a part of the famous Eiffel Tower in Paris, France, the structure is of historical significance. Some thirty years ago, this magnificent wonder of the world developed structural fractures in the steel. Engineers were called in to determine how to preserve the French landmark. Many solutions were discussed; however, the general consensus was the monument could not appear to be altered. Physical modifications would destroy the architectural design and the accepted passionate sense of wonder. So the engineers decided to lighten the structure by removing the restaurant located on the third level. A group of investors from New Orleans meticulously dissembled, labeled, shipped and reassembled the facility on the present location and opened as the Eiffel Tower Restaurant. The enormous cost incurred doomed the venture. After twenty-five years of neglect the Cricket Club will now carry the French torch forward. The new name is fitting. As one gazes upon the location, the skeletal steel structure is reminiscent of a cage. The Chinese developed a Cricket culture 2000 years ago depicting a sign of good luck and good fortune for those who preserve and honor the soothing songs of crickets in cages. 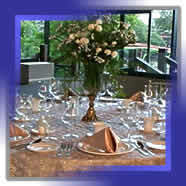 The theme is advanced through the memory of the 1920’s-40’s supper clubs throughout the US. Gourmet foods will be prepared on site by the Culinary Institute of New Orleans and students will train to be professional chefs in the kitchens. Tourists and other gourmet enthusiasts may join the cooking fun in the form of demonstration classes or hands-on classes. 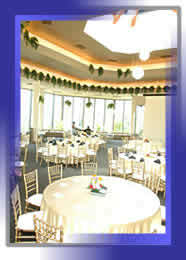 Banquets, weddings, and receptions will breathe life into the Cricket Club by reviving memories of times past.